The crib's drop-side plastic hardware can break or deform. In addition, the drop-side can be installed upside-down, which can result in broken or disengaged plastic parts. All of these problems can cause the drop-side to detach in one or more corners. When the drop-side detaches, it creates space between the drop-side and the crib mattress. The bodies of infants and toddlers can become entrapped in the space which can lead to suffocation. 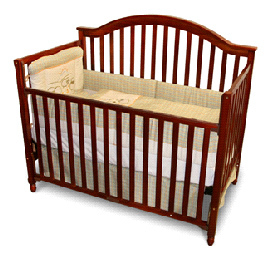 Complete detachment of drop-sides can lead to falls from the crib. Dorel Distribution Canada has received 7 complaints in regards to drop side and slats issue. NO injuries reported. Parents and caregivers are reminded to check their baby's crib regularly before using it and are instructed not to use it if any parts are loose or missing, or if there are any signs of damage. Only parts obtained from the original manufacturer must be used for repairs. Do not repair broken parts with tape, wire, or rope. Contact the manufacturer if replacement parts or additional instructions are needed. For more information on safe sleeping practices for infants, see Health Canada's Consumer Information: Safe Sleep Practices for Infants. The crib model number is printed on the label located on the inside of the bottom rail of the headboard or footboard. Remedy: Consumers should carefully examine the plastic drop-side hardware for any signs of damage or that the drop-side is installed upside down. If there is any reason for concern, consumers should immediately stop using the recalled cribs and find an alternative, safe sleeping environment for their baby. 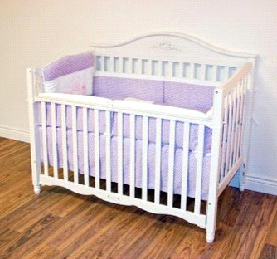 Consumers should not return the crib. Dorel Distribution Canada will be making available a free repair kit that converts the drop-side of the crib to a fixed side. The repair kits will be provided to owners within the next several weeks. If consumers determine that their drop-side has been installed upside down or that the drop-side hardware is broken, loose, missing, or deformed, they should immediately stop using the crib and find an alternative safe sleeping environment for their baby. Consumers may contact Dorel Distribution Canada to receive replacement parts in addition to the repair kit. For more information, consumers may contact Dorel Distribution Canada at 1-800-295-1980 between 8AM and 5PM ET Monday through Friday.